KRK: MohenjoDaro is the worst film I have ever seen in my life so I give 5* to this crap. Director Ashutosh shud be hanged till death for joke. Former Punjab Chief Minister, Captain Amarinder Singh, has cautioned the makers of two movies on the epic Battle of Saragarhi that given the sentiments of the Sikh Regiment associated with the Battle, he would sue them if any historical inaccuracies are depicted in the two movies. Ajay Devgn’s ‘Sons of Sardar: The Battle of Saragarhi’ and Randeep Hooda starring ‘Battle of Saragarhi’ are the two movies currently under production based on the heroic stand of 21 soldiers of the 36 Sikh Regiment (now 4 Sikh) who faced an onslaught of around 10,000 Orakzai and Afridi tribals in the North West Frontier Province in 1897 and died while defending their post. 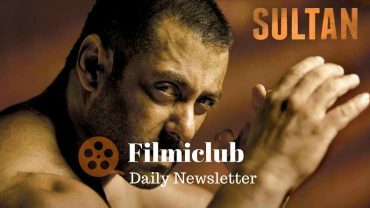 Sultan [Week 5] Fri 24 lacs, Sat 49 lacs, Sun 78 lacs, Mon 16 lacs, Tue 16 lacs, Wed 15 lacs. Total: 300.21 cr. India biz.